I’ve been using Android for close to 4 years now, I started with a Samsung Galaxy S, upgraded to a Samsung Galaxy S3 and this December I switched camps and bought a Sony Z3. I was a fan of Samsung mostly because how easy it was to get one since nearly every carrier here in Canada stocks and sells them. On paper the Galaxy series seem like good phones, they have great specs, nice screens, and for the most part are supported well from Samsung (barring the OG SGS of course). The problem I found with Galaxy phones is that they feel really cheap. The price of the phone doesn’t say cheap (probably because the specs are high at the device launch) but the overall finish of the devices are cheap. Plastic cases, cheap battery covers, terrible implementation of their launches (Touchwiz). After using my SGS3 for nearly 3 years I wanted to get a new phone but sadly due to the plan I have with my provider it was not cost effective. I have a pretty generous data plan with my provider and in order for me to get a ‘free’ phone and upgrade I would have to give up my plan and switch to a more expensive plan. This was not something I wanted to do. 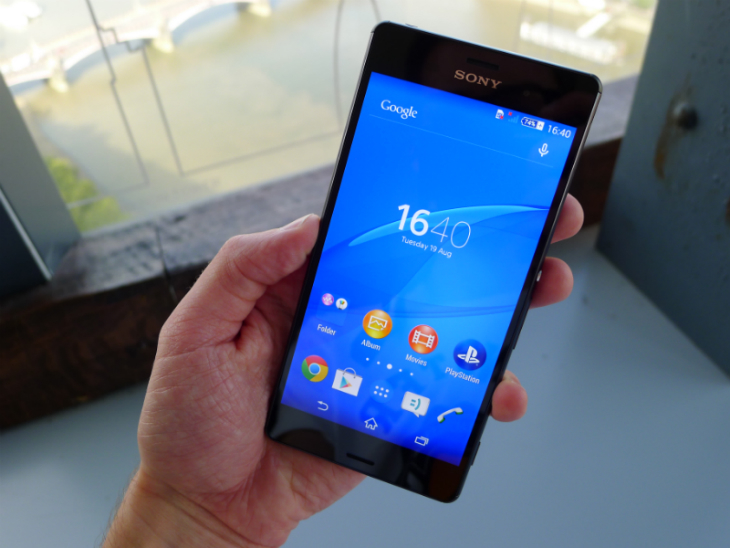 Luckily a friend on one of my tech forums that a used, unlocked Sony Z3 for sale. Now originally I wanted to buy a Google Nexus device. After having a Nexus 7 since 2012 I was really happy on how open and well supported the device was. Yes the Nexus is a generally forgettable device on fit and feel, similar to the SGS series, but the software support and overall performance of the device was really attractive. It just worked, and if I wanted to try a new ROM it was extremely easy to pick one and flash it to the device without having to jump through 400 hoops (I’m looking at you Samsung Odin). Sadly the Nexus phone that was released this year, the Nexus 6 was too big for my liking. Not to mention the size but overall the device received a mixed reception, mostly due to it’s high price. I like Sony products, I had read good things about the Z3 line (both full Z3 and their compact edition). I’d seen enough feedback on the XDA forums about Sony’s dev group participating well in releasing their sources to developers so that suggested to me that they were more open than Samsung in regards to people modifying their phones. That plus their version of launcher (I don’t even know what they call their launcher) seemed well organized and had enough useful improvements over stock Android that the Z3 would be a nice change. Overall the Z3 has been exceptional. I get around 2 1/2 days worth of battery life from the phone, it’s responsive and pretty much everything I’ve thrown at it runs flawlessly, from games to apps, to videos, etc. I haven’t been overly thrilled with the availability of cases but I found a few that work fine. I also like the magnetic charger which works well but I can’t help but think it’s a bit finicky. My biggest concerns are the battery life. Yes, right now, the battery life is amazing, but both of my SGS devices were really good when I first got them. But, as time went on, the battery life on my SGS went in the toilet. It would take a long time to charge and the battery would drain really quickly. I’m not sure if it is just because the removable batteries Samsung supplies are crap or just the daily cycle of charge, use, charge, use caused the battery to become less efficient in keeping a charge. With the Z3 not having a removable battery this could be a real issue. I’ve been more diligent in plugging in my Z3 only when I need to (less than 20% battery left) but it’s not clear if that will make any difference or not.